Some birds capture our hearts, and the mockingbird, the Florida state bird, has always had mine. 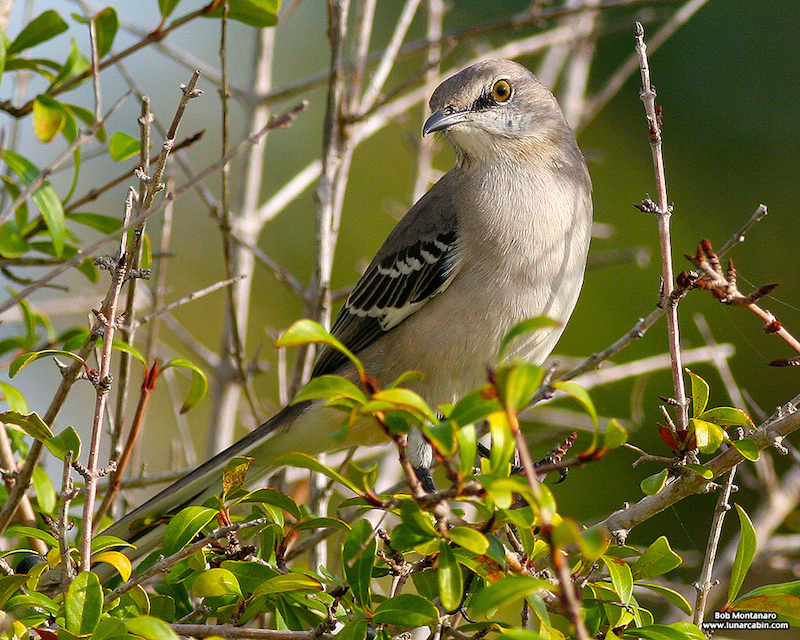 Lifelong learners, mockingbirds learn new sounds throughout their lives. The beautiful photograph above was taken by Bob Montanaro. Visit his blog to see absolutely amazing photos of a mockingbird chasing off a hawk that was plaguing a sandhill crane family.